After the disappearance of their parents, fourteen-year-old Molly and her younger brother Kip are left to take care of themselves. They flee from their native Ireland during the Great Potato Famine and arrive in England, where they find themselves penniless and homeless. Desperate to find jobs and a place to live, Molly and Kip seek employment as servants at the Windsor house despite the many warnings that the local townspeople give them. Upon entering the estate, they immediately sense that something isn’t quite right. The house is eerie and dark, a creepy twisted old tree grows alongside the house, and the Windsor family is strange and unnaturally pale. Soon Molly and Kip discover that the estate is haunted by the Night Gardener, a spirit who grants wishes but also feeds off the souls of those who inhabit the house. Together, Molly and Kip must overcome the powers the spirit holds over them and come to accept the truths of their past. This was my favorite DCF book! This is my favorite book of all time! my favorite part is when kip falls into the hole and the tree almost constricts him. This is an awesome book I recommend this to everyone who is even thinking about reading it! I also love the part when The night gardener drops the fence gate on the doctor and kills him! I love it sooooooooooooooooooooooooooooooooooooooooooooooooooooooooooooooooooooooooooooooo good!!!!!!!!!!!!!!!!!!!!!!!!!!!!!!!!!!!!!!!!!!!!!!!!!!!!!!!!!!!!!!! I think this book is really good I hope that the auther make’s another book like this because itis a mysterie all the way through the book . This book is a nice spookay book if you like spooky books . This book is a nice night time campfire book I think . I think this is a interesting book because you never know what is going to happen. At first it might seem a little confusing. But after a while it is a great book. If you like mysteries and spooky book this will be a great book for you to read. my teacher says it’s good and my math teacher says it’s great. My favorite part was the knives and axes in the tree. EionVT:There is no creepiest part. Everything is creepy. What did you like the best about The Night Gardener? why would you recommend this book? I liked the plot of the story. 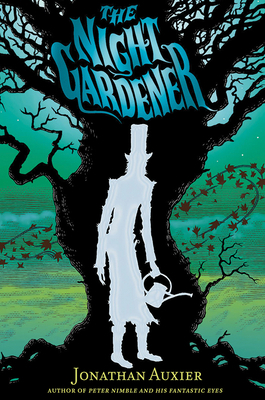 What else did you like about The Night Gardener? Aelin – What was the creepiest part? It is definitely very creepy! I did not under stand the end of the book. How did the house set fire? Maybe I misread it. Maybe I accidentally skipped apart, but I don’t think I missed any thing. I read the book cover to cover. Eoin VT, See what you mean by “This book was scary” when Kip was joining molly in the servants quarters to sleep,[mistress Windsor had told him because he was sick and crippled he could not sleep inside. she was worried that he would get her children “sick” too]he saw the night gardener.The description of him sounded very creepy. eoin vt, what about this book do you think is scary so far? So far this book has been really good. My favorite part so far was when Molly and Kip came across the “witch lady”. I liked her character in the book. She does not sound like a witch, but how Molly described her it sounded like a witch. I highly recemend this book to all whom thing about reading it. Your teacher was right! It’s a terrific book but if you get creeped out easily, it may not not be the best choice for you. I agree. Totally creepy and really really good! Okay this book was CREEPY and i’m not even one to get creeped out. It had a good story line but really, CREEPY!! !